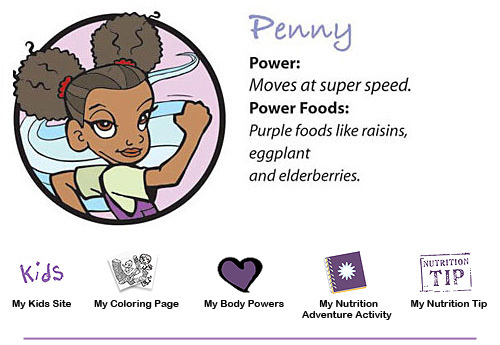 Meet all the Super Crew on the Super Crew kids site! 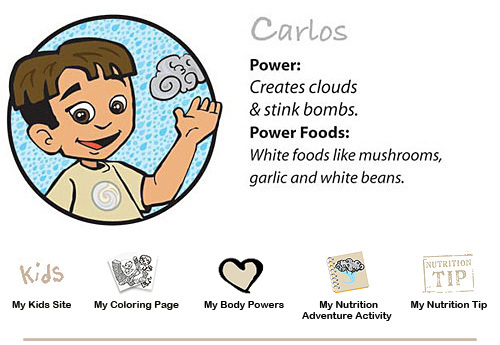 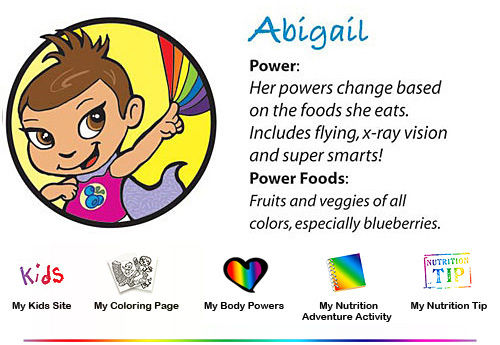 The Super Crew Kids get special powers from eating healthy, colorful foods! 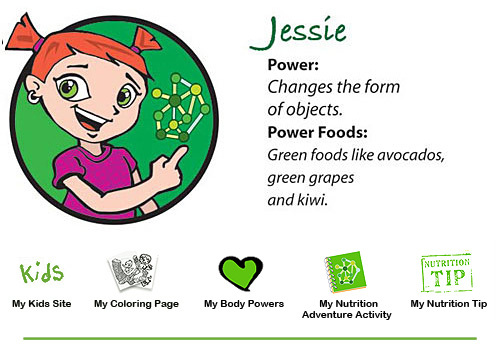 Join their adventure on their kids’ nutrition site and learn how healthy eating and fitness is fun!